Today our Italian Food, Wine and Travel group (#ItalianFWT) rounds out 19th region of Italy with Lombardy. I provided an overview of this Lombardia earlier in the week, but let's dig right in with today's topic, chiavennasca vs. nebbiolo. When one talks about the great wines of Italy everyone always talks about nebbiolo, especially the wines of Barolo and Barbaresco topping the charts. What about the variations of nebbiolo that are hiding in the shadows behind those of Piedmont? For example, how familiar are you with chiavennasca? Would you be surprised if I told you this was also nebbiolo, but just produced in northern Lombardy, the neighboring region to Piedmont? To confuse you a little further if we venture to the region of the Valle d'Aosta, nebbiolo is now called picotendro and in northern Piedmont in the areas of Ghemme and Gattinara you can find the wines under the name of spanna. Plus, the biggest benefit, you can get these wines for a better value and as wine drinkers we're always looking for good values! 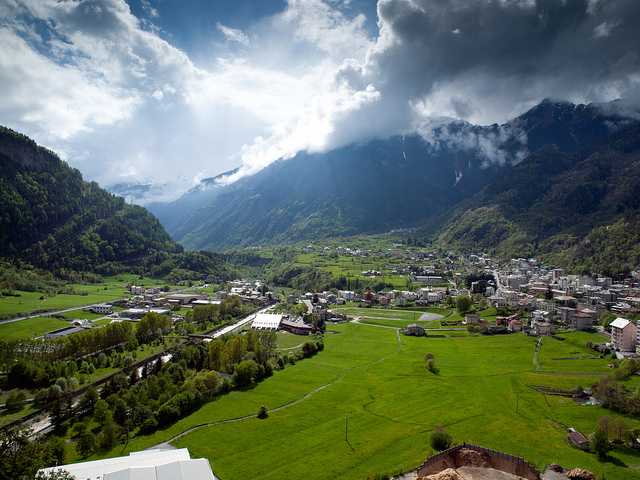 Valtellina, tucked into northern Lombardy near the town of Sondrio and the Adda River, is the place to seek out chiavennasca. It also is bordering Switzerland as well so we're definitely talking northern Lombardy here. Harvesting here is definitely a feat for the winemakers and those picking grapes as the slopes are very steeply terraced so everything is hand harvested. It limits production and also increases the cost of production. I've even been told that some producers bring in helicopters to help with harvest. 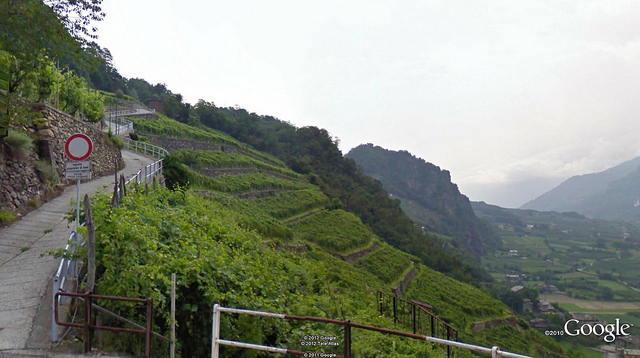 It has been deemed a UNESCO World Heritage Site as well for it's antique vineyard structures. The nebbiolo based wines of the Valtellina don't pack as much a punch of those from it's neighbor Piedmont due to the cooler temps and high elevations that restrict the grape from reaching optimum ripeness. The soil here is also rocky with little clay that also influence the more delicate character. You will find chiavennasca from Valtellina to be lighter bodied and in color and not as tannic in comparison to those of Piedmont, but it's still nebbiolo, a highly tannic grape. But the wines of Valtellina have an earthy, rustic quality and elegance to them, which make them very attractive to us nebbiolo lovers. Valgella – delicate and floral. The more simpler style. Maroggia – Fruit styles and the more recent addition of the 5. If one of these sub-zones are mentioned on the label the grapes come 100% from that area. If there is no mention it could be a blend of multiple zones. Don't stop here! There are plenty more wonderful stories of Lombardy to be explored. 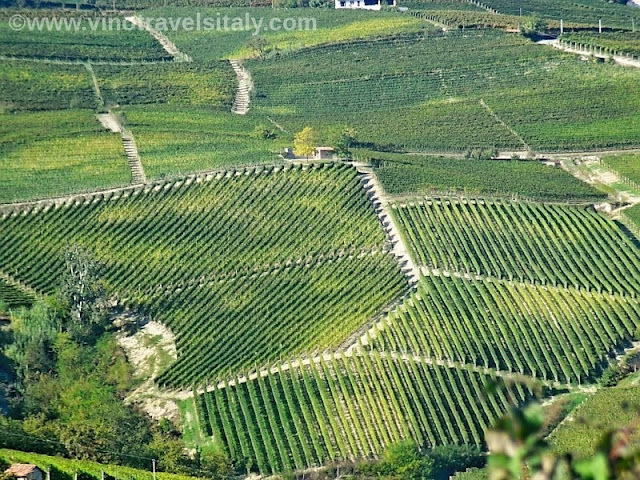 Join our Twitter chat Saturday May 7th at 11am EST @ #ItalianFWT to chat about Lombardia. Plus, don't miss next month as we feature our last region of Italy, Liguria. This will complete our first full tour of Italy. See you June 4th! Girls Gotta Drink - Visit Franciacorta Wine Region: Italian Sparkling Wine For the Win!